Orbital’s Cygnus was commanded towards a destructive re-entry on Wednesday, marking the end of its successful ORB-D mission. The vehicle was unberthed from the International Space Station (ISS) and released by the Space Station Remote Manipulator System (SSRMS) the day before, in a text book departure. 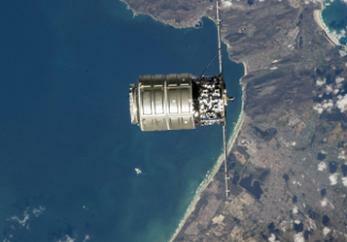 Cygnus arrived at the orbital outpost on September 28, a week later than planned, due to a discrepancy in the GPS data between the ISS and Orbital’s spacecraft. 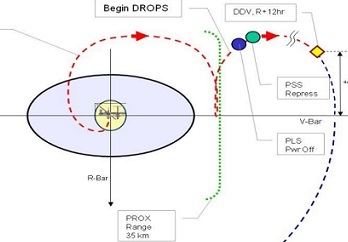 However, the flawless rendezvous and berthing more than made up for the delay, as Cygnus was put through a challenging set of manuevers aimed at proving its ability to safely arrive within the Keep Out Sphere (KOS) and then be in a stance to abort from the $100 billion Station in the event of a system failure. With the hatch opening occurring the following day, the crew began to unload the 1,100 kgs of cargo contained within the vehicle’s PCM. Although ORB-D is a demo mission, Cygnus’ successful arrival provided the Station with some much needed supplies. This involved the crew removing the “top layers” on PORT and STBD pallets to make room in PCM. They then removed components of the Secondary Structure as required, ahead of emptying the FWD and AFT pallets to gain access to the Standoff pallets, which they emptied and repacked. 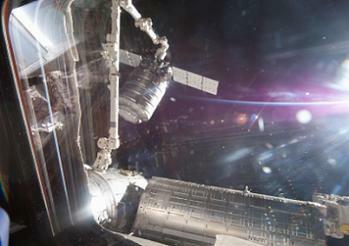 With the payloads removed, the crew began to fill Cygnus back up with trash items, via a reverse sequence. The “return cargo” won’t be classed as downmass, because – unlike Dragon – Cygnus won’t be returning to the ground or water. This final phase of the mission – a reverse of the berthing procedures – is called the Descent & Reentry Operations Phase (DROPS), as Cygnus ends its life in a disposal corridor during entry. The first task on Tuesday was to complete vestibule depressurization, prior to releasing the 16 bolts that had secured Cygnus to the ISS. 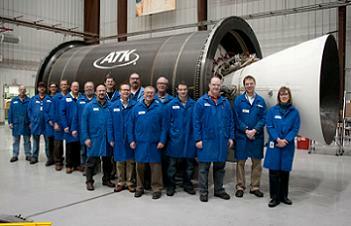 The 16 bolts were driven in two stages, with the SSRMS holding a firm grip on the spacecraft. 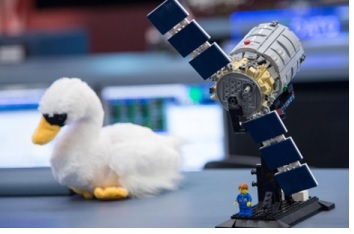 Once released, Cygnus was then carefully translated 10 meters away from the Station, eased through pre-planned manuevers to position the vehicle into its release stance. The Latching End Effector on the end of the Station’s arm then drove the snares to literally let go of Cygnus, allowing it to be free once again, followed by the ISS crew slowly moving the arm back away from the ship from their viewing position in the Cupola’s Robotic Work Station (RWS). With Cygnus able to abort, had it wandered back towards the arm – as was the case with the HTV-3 unberthing – controllers both at MCC-Dules and MCC-Houston conducted system checks, prior to the opening departure burn. This initial departure was a commanded abort, a nominal procedure to allow the HTV console to inform Cygnus it can begin to move away. Cygnus then began a half-lap flyaround of the ISS, looping behind the Station, before swinging under and infront of the outpost, with its final venture to the V-Bar being 1,200 kms in front of the ISS. It then made the decent – via two standard burns and the final deorbit burn – towards a destructive re-entry, with break up occurring high above New Zealand at 75 km altitude on Wednesday. “Congratulations to the teams at Orbital Sciences and NASA who worked hard to make this demonstration mission to the International Space Station an overwhelming success,” NASA Administrator Charles Bolden said. It is highly likely that following this successful demonstration, the way will be paved for its siblings to each take a turn in providing full CRS operations. Pending a review by Orbital and NASA teams, Cygnus will change call signs from being a spacecraft under the NASA Commercial Orbital Transportation Services (COTS) program into the Commercial Resupply Services (CRS) contract. This mission will involve a standard three day flight profile to berthing with the ISS, with its launch aided by the Castor 30B second stage upper stage engine – ATK’s upgraded variant of the Castor 30A that rode with the ORB-D Cygnus. For the ORB-1 mission, approximately 1,350 kilograms of cargo are currently manifested to be taken up to the Station, including the first powered payload in Cygnus. The next Cygnus – along with its Antares launch vehicle – is already being processed at Orbital’s Wallops facility, with a target launch date of December 15, with an available launch window through to December 21 – per L2 information. (Images: via L2’s Cygnus Section – Containing presentations, videos, a vast set of unreleased hi-res images, interactive high level updates and more, with additional images via Orbital).